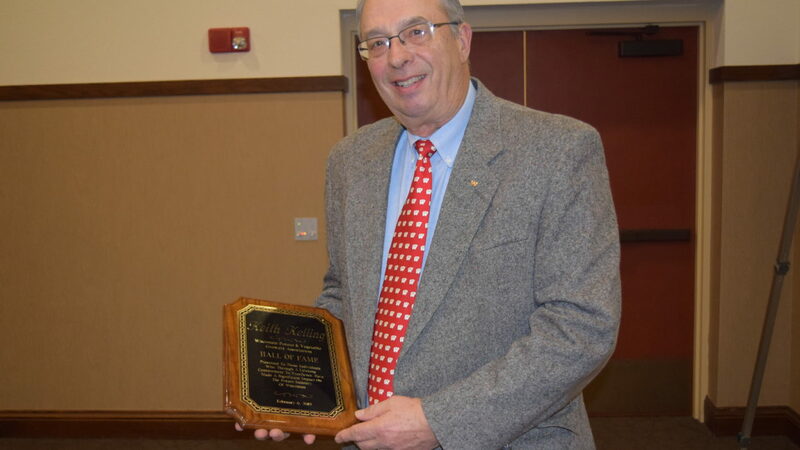 University of Wisconsin-Madison Soil Scientist Dr. Keith Kelling was inducted into the Wisconsin Potato & Vegetable Growers Association Hall of Fame at the industry’s annual awards banquet held February 6, 2019 in Stevens Point.The Wisconsin Potato & Vegetable Growers Association Hall of Fame honors lifetime achievement in the development of the state’s potato industry. 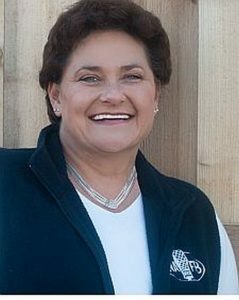 It is the intention of the WPVGA to continue to honor individuals who have made significant contributions to the potato industry in Wisconsin by making annual Hall of Fame inductions.The following is a brief biographical sketch of this year’s WPVGA Hall of Fame inductee.Dr. Keith Kelling was a longtime Professor and Extension Soil Scientist at the University of Wisconsin-Madison. A native of Edgerton, Wisconsin, Kelling completed his B.S. degree in 1966, his M.S. in 1972, and his Ph.D. in 1974, all at the University of Wisconsin-Madison. He is a member of the Soil Science Society of America and a member and Fellow of the American Society of Agronomy. He was a Platoon Leader and Brigade Plans Officer in the U.S. Army Corps of Engineers at Fort Kobbe in the Panama Canal Zone from 1966 to 1969.Dr. Kelling was an Assistant Professor in the Department of Natural Resources at Ball State University in Muncie, Indiana for three years before joining the faculty at UW-Madison in 1977. He established a large research program that addressed practical nutrient management issues in potato production systems. Potato research comprised less than half of his research activities, yet his program had impacts on nutrient management throughout Wisconsin, the surrounding region, and beyond. Research programs in potato were targeted at management of nitrogen, phosphorous, potassium, calcium, and other essential nutrients for optimal yields and minimal impacts on the environment.Kelling was a leading researcher in the development of nutrient management systems for potato nationwide for over 20 years. Particular research topics on nutrient management included optimizing timing of nitrogen fertilizer applications on the sandy soils of Central Wisconsin, calcium fertility, phosphorous and potassium fertility in potato, and using nitrogen tissue sampling for adjusting nutrient management after leaching events.Kelling also evaluated countless non-traditional fertilizers and nutrient amendments for their impact on crop growth, yield and quality. He summarized the evaluations of non-traditional materials in an easy to read format that was frequently updated to reflect the flood of materials being marketed throughout the US. He also evaluated the influence of manure applications on potato productivity and paid special attention to the impact on potential defects such as common scab. He has continued to publish much of his potato work in scientific journals.Kelling was well known for his dedication, service and honesty with the potato and vegetable industry of Wisconsin and across the US. He was a firm believer and practitioner of utilizing research-based information to support his extension program and recommendation system. As one potato grower stated, “Dr. Kelling’s work on N management in potato systems is well documented as is his work on P and K. His program on evaluating non-conventional soil additives has saved growers a lot of money over the years and made some salesmen very unhappy. Keith was invited to speak across the country on this topic which was summarized by a colleague, “I recall inviting Keith out to Idaho back in the mid 1980’s to speak on the topic of ‘non-conventional amendments,’ which was a very controversial topic at the time. Unlike most of the rhetoric on that topic at that time, Keith gave a very balanced, professional presentation based on facts and scientific experimentation, which went a long way to calming the controversy and allowing reason to prevail.’”The 1999 WPVGA Researcher of the Year, Kelling has been a member of the Potato Association of America for more than 35 years. He was a key member of the potato and vegetable extension team at the University of Wisconsin-Madison and received an Industry Appreciation Award from the WPVGA in 2004. He helped organize the 2004 PAA Symposium on “The Future Role of Extension in the Potato Industry” and served on the local arrangements committee for the 2006 PAA meeting. He was a member of the Extension and Production Sections of PAA and is still a regular participant in the annual meeting and the annual Golf Outing. In 2008, Kelling received one of the highest honors in the potato industry when he was awarded with Honorary Life Membership in the PAA. In addition, he coordinated the 2012 PAA Symposium on Phosphorus Management and Utilization. He has received numerous awards over the years for excellence in research, extension and education. Since his retirement in 2004, he has published an additional 23 papers (including 18 on potato topics) in scientific journals. The overriding goals of improving nutrient use efficiency, increasing farm profitability and ensuring environmental protection have remained consistent throughout his career.Keith and his wife, Andrea, have two adult children. They reside in Middleton, Wisconsin, but they also have a lake home in Rhinelander and spend winters in Naples, Florida. 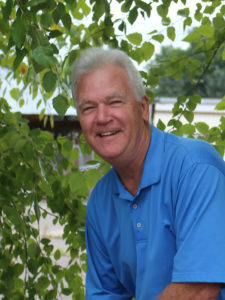 He enjoys hunting and fishing (especially walleyes) and is an avid golfer. He and his wife are big fans of UW football, basketball and hockey, attending many of the Badgers’ home games in Madison.